Charles Marion, known to most as Charley, grew up on the family homestead in the middle of southwest Missouri’s Ozarks. He and his brothers worked their father’s milling business, but after a few years, he left his share to his brothers and began plans for a poultry hatchery. In 1922, his 280-acre farm was the basis lot raising the “world’s greatest hens” and supplying the public’s poultry demands. 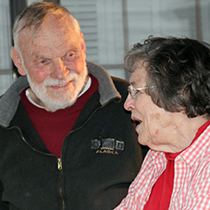 As the years progressed, his attention focused on genetics and environment and C. M. Estes Hatchery became nationally recognized for breed excellence and customer service. His son Charles Marvin (1928-2014) and wife Rowena took over the business after his father died and had both kept it alive for a number of years up until the loss of Marvin in the summer of 2015. Today, members of the second, third, fourth, and fifth generations carry the torch into the new millennium and hold the same standards for breed quality and customer satisfaction as Charley did over eighty years before. Eventually, Marvin’s son Mark (1948-2005) entered the business. 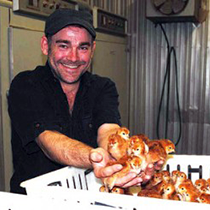 His new business ideas led the hatchery into a whole new market. 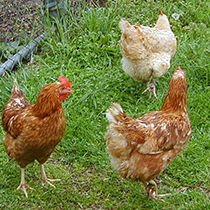 The wholesale business of Estes Hatchery began when Mark worked with feed stores and convinced them to sell live poultry to increase their feed sales. Today, our hatchery’s main business is wholesale; however the retail business that Charley started in 1922 is still growing. The family, along with the help of essential seasonal employees, keeps the business running throughout the year. As the hatchery improves with age, new building additions and continual family attention are essential to handling the larger hatching capacity and growing customer base.The Estes family is proud of Charley’s beginnings and their strong reputation for being a family owned and operated business. Third and fourth generation Judy and Sean still run the business with help from Rowena at least two days a week. Various other family members including cousins, spouses and close friends give their continued support to the family business. The Estes family’s fifth generation is just now starting to get their little hands in the business, too. The reputation for being a focused, dedicated business specializing in not only Estes’ specific breeds, but specialty breeds and custom hatching continues to be nationally recognized. Shipping throughout the fifty states, Estes still carries through with the “100% Live Delivery Guarantee.” The breeds carried in chickens, ducks, geese, turkeys, game birds, guineas and many others provide a sound foundation for the public’s poultry needs. The family puts in countless hours to keep the business growing as time moves on. 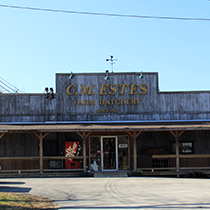 Estes Hatchery LLC will continue to grow and improve with its strong past and bright future.